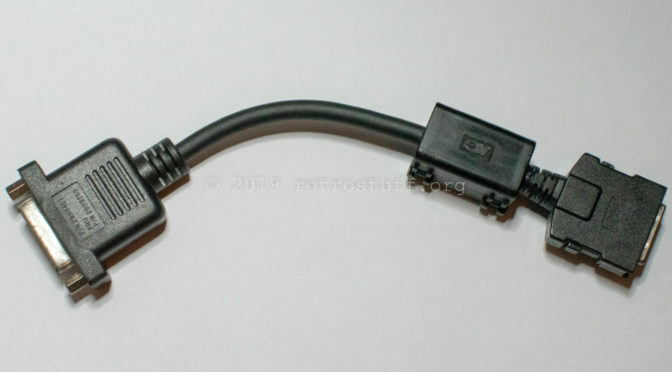 While doing my research for another project (finding a plug for the Philips CDI350 RGB in/out port), I came across an old IBM MIDI/Game port adapter. It is listed with P/N 29H9467 (FRU P/N 29H9269) and can be used with some models of the ThinkPad 760 series (760CD, 760ED, 760XD, and also 765D). What makes it so special is the plug. It is similar to the 26-pin external floppy connectors used by several laptop brands in the ’90s. While most of the external floppy drives used a 17 mm wide plug, this one is 20 mm wide. This JAE datasheet lists the plug as TX20A series connector, part number TX20A-26PH1-D2P1-D1.